From the trace that leads to the pineforest area of Monastery of Saint Fotini, we follow the earthen path, and after a while we meet a "Mill", a stone building of the 18th Century, that used to be a process unit of wheat. In that place the road is divided to two routes, which lead, the first one to the Monastery of Saint Matrona and the other to the Monastery of Holy Triad. The Monastery of Saint Matrona is 15 minutes away from the Monastery of Holy Triad, it is a women Monastery and is located at the mountain Karesa. 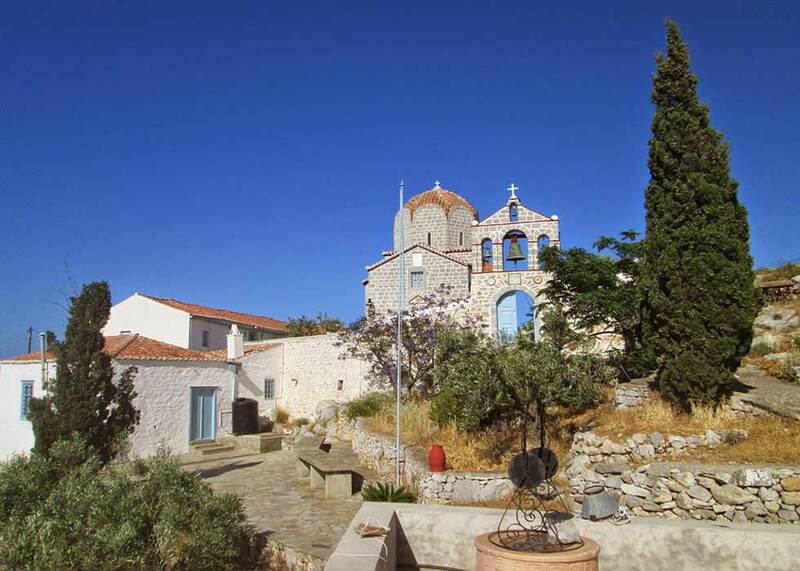 Also inside the Monastery we will find the Church of Saint Sozon.